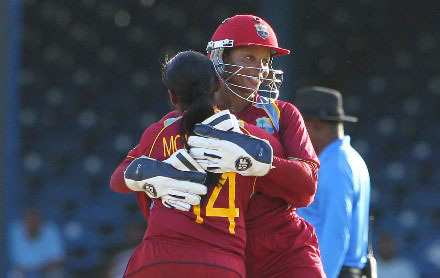 ST JOHN’S, Antigua, CMC – Veterans Merissa Aguilleira and Anisa Mohammed have been axed for West Indies women’s tour of Ireland and England next month. 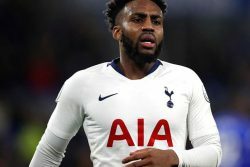 (Reuters) – Leading Premier League players yesterday backed the Professional Footballers’ Association’s (PFA) campaign to boycott social media for 24 hours in a stand against racism. 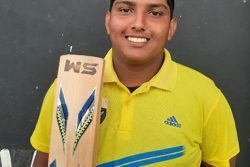 ST JOHN’S, Antigua, CMC – Mavindra Dindyal extended his excellent form with 87 while Zachary Jodah got an unbeaten 68 as Guyana brushed aside Leeward Islands by 96 runs in the fourth round of the Regional Under-15 Super50 Cup here yesterday. (Reuters) – Fast bowler Mohammad Amir was left out of Pakistan’s 15-man preliminary World Cup squad but will feature in their warm-up games against England, the country’s cricket board (PCB) said yesterday. 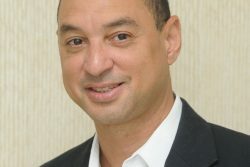 ST. JOHN’S, Antigua – Cricket West Indies announced today that Jamaica senator Don Wehby has been appointed chairman of a Task Force on Corporate Governance Reform. 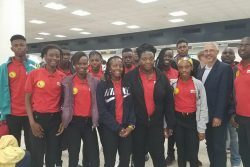 Eighteen local athletes and three officials departed yesterday for the 48th running of the CARIFTA Games in the Cayman Islands. 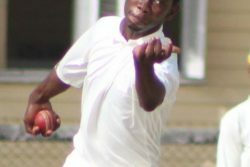 In the second round of the Georgetown Cricket Association/AYPCL Under-19 tournament, Tri-State, Malteenoes Sports Club (MSC), GNIC and Queens College (QC) recorded victories yesterday. Leg – spinner Akeem Clarke and batsman Devon Allen orchestrated a commanding 157-run win for the Transport Sports Club (TSC) over the Georgetown Cricket Club (GCC) while Sachin Singh and Alphius Bookie struck unbeaten half-centuries for the Demerara Cricket Club (DCC) who defeated Bel Air Rubis by nine wickets in second round action of the GCA/American Youth Premier Cricket League Under-19 Cricket Competition. 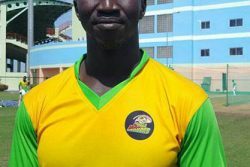 On a night which featured expected victories for Gold is Money, California Square and Bent Street, Ansa McAl upset highly touted Future Stars on Tuesday in the Stag Beer Easter Futsal Championship. Puerto Rico dominated hosts and arch rivals the Dominican Republic at the ongoing 2019 Caribbean Junior and Cadet Championships. 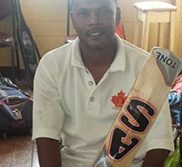 An aggressive half century from Rickey Sargeant helped Regal All Stars to a commanding 131-run victory over Softball Cricket Canada (SCC) All Stars in the Open final of the 15th annual Florida Cup, last Sunday in Fort Lauderdale. 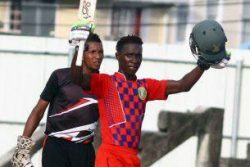 University of Guyana (UG) all-rounder Keon Roberts on Sunday last produced a fine display with both ball and bat to spur Rising Star into the final of Amreith Rai Memorial T20 tournament as his side defeated Canal #2 Sports Club by 21 runs. Guyana were drawn in Group-A of the Caribbean Playoff Leg of the CONCACAF Men’s Olympic Qualifying Championship following yesterday’s official draw. 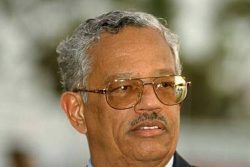 KINGSTON, Jamaica, CMC – Former Cricket West Indies president, Pat Rousseau died here late Tuesday following a long illness. 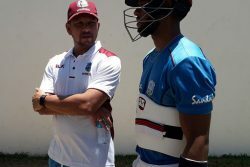 BRIDGETOWN, Barbados, CMC – Former Test batsman, Ramnaresh Sarwan, says he is thrilled at the opportunity to work with the West Indies one-day squad in the lead-up to the Tri-Nations Series in Ireland and the ICC World Cup. LONDON, CMC – Highly-regarded Barbadian fast bowler, Jofra Archer, was yesterday ignored for England’s preliminary 15-man World Cup squad but has been named to face Ireland and Pakistan, leaving the 24-year-old still with an outside chance of turning out at the ICC showpiece starting next month. PARIS, (Reuters) – The first Iranian woman to contest an official boxing bout has cancelled plans to return home after an arrest warrant was issued for her in Tehran, her representative said yesterday as Iranian authorities issued a denial. 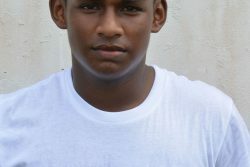 ST JOHN’S, Antigua, CMC – Opener Romario King struck an attractive hundred as unbeaten Trinidad and Tobago powered their way to their third straight win with a 151-run crushing of Jamaica in the Regional Under-15 Super50 Cup here Tuesday. (Reuters) – England have not picked uncapped all-rounder Jofra Archer in a preliminary 15-man World Cup squad but have named him in squads for the warm-up games against Pakistan and Ireland. 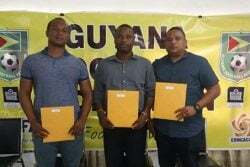 The extension granted by the Guyana Football federation to the Georgetown Football Association [GFA]-Interim Management Committee [IMC] has ended. 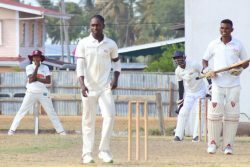 The Demerara Cricket Club (DCC) and the Georgetown Cricket Club (GCC) yesterday recorded opening round wins in the GCA/American Youth Premier Cricket League Under-19 Cricket Competition. 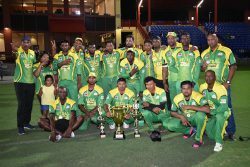 Defending champions, President Guard (PG) romped to their fourth consecutive final with a nine-wicket win over ‘D’ Division while ‘F’ Division escaped with a three-wicket win over ‘A’ Division yesterday to book their spots in the final of the Police Commissioner’s Inter-Division T20 tournament. 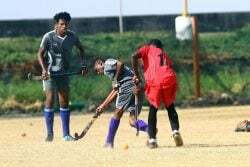 Everest, Malteenoes Sports Club (MSC) and the Gandhi Youth Organization (GYO) all recorded first round victories yesterday in the first round of the Georgetown Cricket Association/AYPCL Under-19 50-overs tournament. La Bonne Intention [LBI] won the 4th Annual P.K.F. Barcellos, Narine & Company Secondary Schools tapeball cricket competition Saturday at the Durban Park Tarmac, Homestretch Avenue. 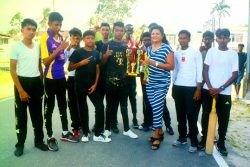 Linden Technical Institute [LTI] and New Silvercity secured contrasting wins when the Linden Town Week Secondary Schools Basketball Championships continued on Monday at the Mackenzie High School court. 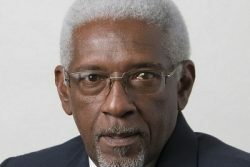 ST JOHN’S, Antigua, CMC – Outspoken Cricket West Indies director, Conde Riley, has slammed the regional governing body’s decision to axe the entire coaching staff of the men’s senior side ahead of the World Cup, and has warned that the sweeping personnel changes announced last week could “destabilise the whole process” heading into the ICC showpiece next month. Landry Shamet buried a go-ahead three-pointer with 16.5 seconds remaining, capping a historic rally from a 31-point deficit Monday night and delivering the Los Angeles Clippers a shocking, 135-131 victory over the Golden State Warriors in Game 2 of their Western Conference first-round playoff series in Oakland, Calif.
TURIN, (Reuters) – Ajax Amsterdam followed up their elimination of Real Madrid by producing a spell-binding display of inventive, passing football to win 2-1 away to Juventus yester day and end the Serie A team’s dreams of winning the Champions League. 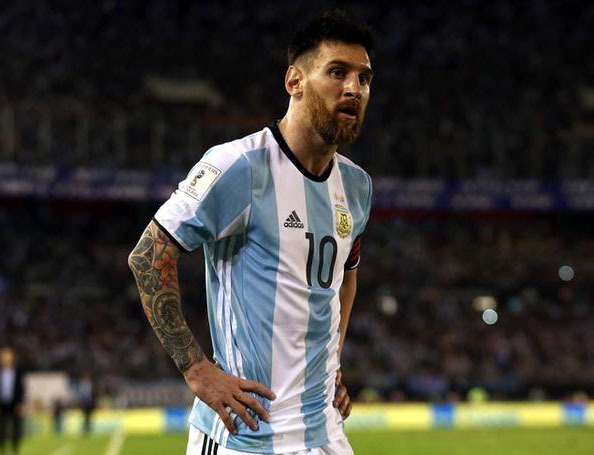 BARCELONA, (Reuters) – Lionel Messi produced another masterful Champions League performance to knock out Manchester United and fire Barcelona into the semi-finals for the first time in four years, scoring twice in a 3-0 home win yesterday. 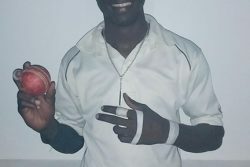 BRIDGETOWN, Barbados, CMC – Experienced West Indies seamer Kemar Roach is hoping for a major impact on the upcoming tours of Ireland the World Cup, after recovering from the injury which forced him out of the recent England one-day series. 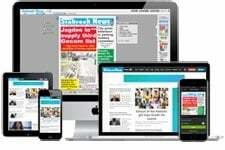 DHAKA, (Reuters) – Rookie swing bowler Abu Jayed earned a spot in Bangladesh’s World Cup squad yesterday while batsman Mosaddek Hossain also made the cut for the showpiece tournament in England and Wales. 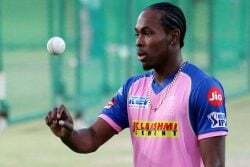 MOHALI, India, CMC – Barbadian fast bowler Jofra Archer sent one final reminder of his extraordinary talent to selectors ahead of England’s World Cup squad announcement today but it came in a losing cause as Rajasthan Royals went down by 12 runs to Chris Gayle’s Kings XI Punjab. 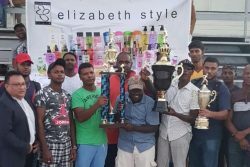 US based company, Elizabeth Styles has continued its partnership with the East Coast Cricket Board (ECCB), this year increasing its prize to $510,000 for the 40-overs round-robin competition which was unveiled on Saturday at the Better Hope Community Centre. 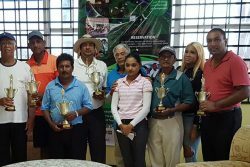 Mike Mangal, Ayube Subhan and Maxim `Danny’ Mangra battled fierce competition before walking away with the respective flight titles in the A&R Jiwanram Printery’s second annual golf classic Saturday. 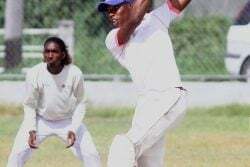 In the latest round of the Enmore Community Centre Cricket Club/SPR Enterprise 40-overs tournament, Ogle defeated Mahaica Sports Club by 186 runs at the Ogle Ground while Enterprise eased to a five-wicket win over Strathavon on Sunday. 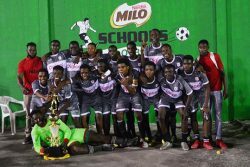 The National Sports Commission (NSC) yesterday launched their annual two-week Easter Swim Camp at the Colgrain Pool, Camp Street and the National Aquatic Centre, Liliendaal..
Christianburg/Wismar defeated Lodge Secondary 1-0 on Sunday in the final of the Milo Secondary Schools football championships at the Ministry of Education ground. 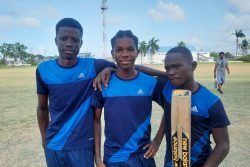 Guyanese quartet Ashmead Nedd, Sachin Singh, Kevlon Anderson and Kelvin Umrao will depart Guyana on Thursday for their second West Indies Under – 19 Development Camp in Antigua. 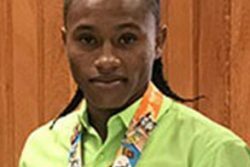 The Guyana Boxing Association (GBA) plans to pull out all the stops to ensure bantamweight standout, Keevin Allicock, maximizes his chances of medalling at the Pan Am Games. 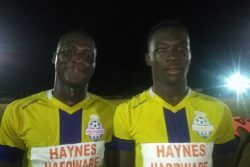 Winners Connection and Net-Rockers secured their berths to the semi-final round in the Linden Town Week Mayor’s Cup Football Championship, following quarterfinal wins on Sunday at the Mackenzie Sports Club [MSC] ground, Linden. 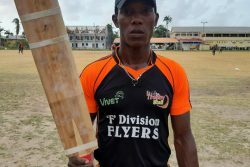 Guyana Jaguars Head Coach, Rayon Griffith is optimistic about his impact on the West Indies team after being promoted to Assistant Coach of the senior side for the Ireland Tri-series. 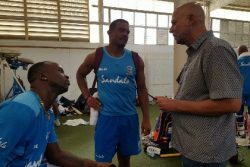 BRIDGETOWN, Barbados, CMC – Cricket West Indies president, Ricky Skerritt, has hailed the enthusiasm in the West Indies training camp, which got underway here yesterday at 3W’s Oval. 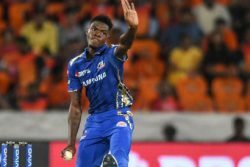 MUMBAI, India, CMC – Alzarri Joseph’s Indian Premier League dream ended abruptly last weekend when he picked up a season-ending injury in Mumbai Indians’ four-wicket defeat to Rajasthan Royals. 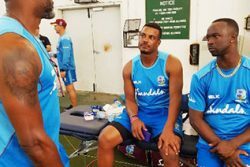 BRIDGETOWN, Barbados, CMC – Experienced coach Roddy Estwick has returned to the setup of the senior men’s side for the ICC World Cup, Cricket West Indies confirmed yesterday. MUMBAI, (Reuters) – Dinesh Karthik pipped young Rishabh Pant to the second wicketkeeper’s spot in India’s World Cup squad on Monday and all-rounder Vijay Shankar also made the cut. 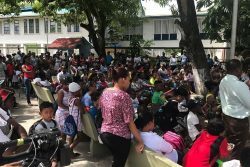 Diplomats recorded a thrilling win over the Transport Sports Club (TSC) in the latest round of the Noble House Seafoods second-division, two – day competition yesterday.